Hey Mama! 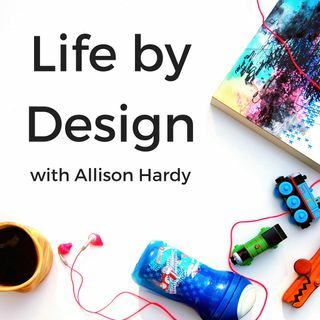 And welcome to episode #91 of the Life by Design Podcast! 1. It's the podcast's two year anniversary! 2. AND it's our nine year wedding anniversary! So I thought it was only fitting to have my studly husband, Teer, come on and talk all things podcasts to celebrate our today's milestones. In this episode we dive deep into our podcasts and talk all about why as an ... See More influencer, you should consider a podcast as a new platform to expand your influence. Teer has had some pretty impressive success in his 3 years of running a podcast. He's built an audience strictly from organic reach, paid traffic hasn't been successful for his podcast at all! And as the podcast approaches the 300,000 downloads mark, he is getting more traction than ever, by leveraging his platform, the quality of the content and guests that he features, and has some very tangible pieces of advice that you can take action on now.